Since 1979, Michel-Schlumberger Wine Estate has grown and evolved, but it has stayed true to its winemaking philosophy. Our winemaking philosophy is to craft elegant wines with a real sense of place – beautifully balanced and expressive of our dramatic vineyard landscape. This philosophy has helped cultivate the estate into the successful Dry Creek Valley winery it is today. With almost 100% estate produced wine, every bottle speaks to the distinct soil, climate, and topography of our sustainably-farmed property. Within our terroir-driven winemaking approach, nature is definitely the dominant force. The combination of cool coastal weather and warm West Coast days create balanced fruit, and full-flavored, complex wines. As caretakers of the land, we walk every row and sample every barrel. We believe it is best for us to be part of the winemaking process from planting to bottling. Every fall, our grapes are harvested by hand, and then gently crushed and de-stemmed at the winery. Classic winemaking techniques are used by our team, including “sur lie” aging, and barrel aging for overall balance in the final blend. Currently, our Director of Winemaking, Bryan Davidson, oversees the entire process. As the head winemaker, he strategically highlights the flavors of the soils, climate and benchland, hillside, and mountaintop vineyards of the Michel-Schlumberger Estate. Bryan’s credits include Martin Ray, Chateau St. Jean, and Michel-Schlumberger’s sister winery, Roblar, in Santa Barbara County’s Santa Ynez Valley. 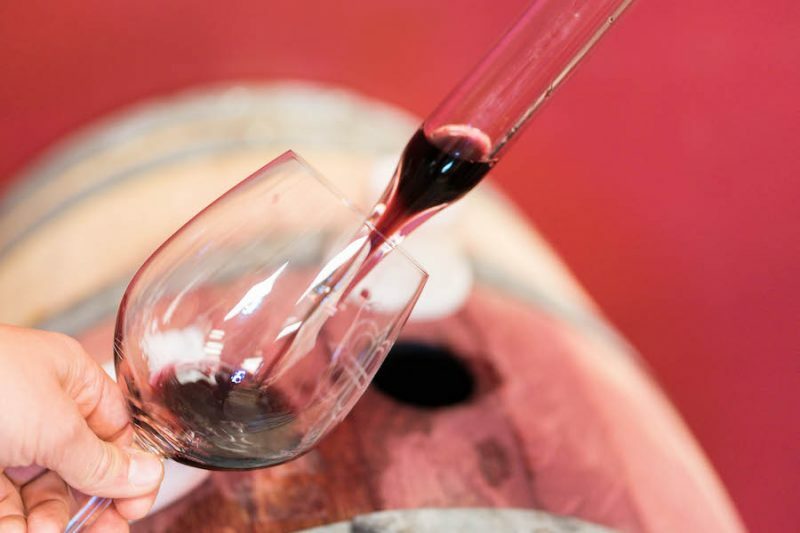 To schedule a tasting at Michel-Schlumberger Wine Estate, please click here. The team looks forward to sharing our incredible wines and unique philosophy with you!